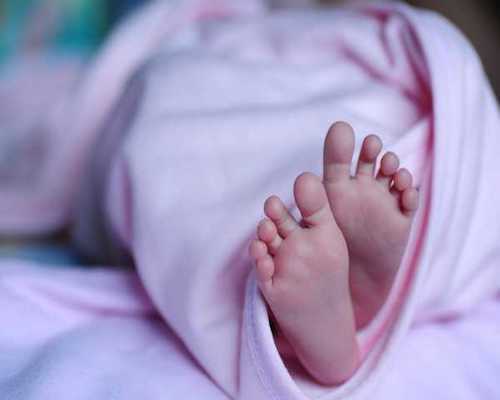 The head of a baby got separated from its torso during delivery at a primary health centre in Koovathur near Chennai. Doctors said the baby had died in the mother’s womb. Allegation: Staff nurses at the health care centre ignored her pleas for pain relief medication and went ahead with vaginal delivery. There were no doctors at the PHC. Nurses removed only the baby’s head from the mother’s womb, leaving the torso inside. The woman was then rushed to the Chengalpattu Government Medical College in Kancheepuram for an emergency surgery, where doctors extracted the torso. Delivery was done in an emergency situation. It was an intrauterine death. The baby had to be removed to save the life of a woman. 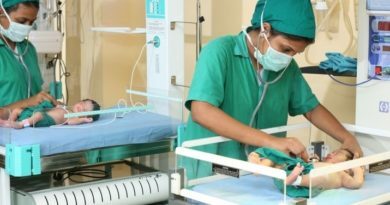 The baby weighed just 1.5 kilograms, they decided that vaginal labour would not be a hazard. But during vaginal delivery the head got separated. On Wednesday, a case was filed under IPC sections 304 A (causing death by negligence) and 336 (act endangering life or personal safety) against the two staffers of Ramgarh PHC. A mother of three kids, this was Deeksha’s fourth delivery. The staff did not inform the family about her situation and referred her first to Jaisalmer. She was then sent to Jodhpur in a serious condition. Despite being a high-risk case, the two nurses on duty—Amritram and Jhunjhar Ram—tried to deliver the chid of seven-month pregnant Deeksha without the presence of a doctor. After the incident, they asked family members to take the woman to Jaisalmer claiming that the opening of the womb had closed and it was difficult to take the umbilical cord out. They hid the body of the baby and handed it over only after a police complaint was registered by the family. The family came to know about it after they were informed by the doctors in Jodhpur, who surgically removed the baby’s head. The family reached Ramgarh police station on Wednesday and lodged a case against the two nurses. Chief medical health officer, Jaisalmer, Dr B L Bunkar said, “I visited Ramgarh and investigated the matter. There were two male nurses present when the woman was brought to the PHC before midnight, on the intervening night of January 6 and 7. Since the gynaecologist was on leave, the nursing staff handled the case. The baby was half out when the pregnant woman was brought to the PHC.It was a pre-term baby,” he added. Health department joint director (Jodhpur) Dr S K Parmar on Thursday rushed to Jaisalmer from Jodhpur to investigate the matter. “I will prepare a complete report on the incident and hand it over to health directorate,” he said. 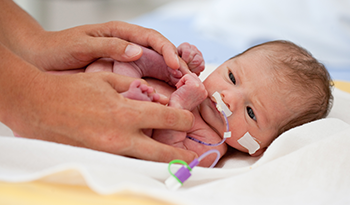 Rare, cases of fetal decapitation, occurring intrauterine or during delivery process have been reported in literature. Fetal decapitation can be spontaneous or accidental (occur by force). It can also be therapeutic (for a nonviable fetus), where it has to be done only by an experienced obstetrician as it is a radical procedure. The case of decapitation of a live fetus during vacuum-assisted delivery was reported in the American Journal of Forensic Medicine in 2011, where excessive traction on the head of the full-term macrosomic fetus with shoulder dystocia resulted in overstretching of the neck up to the point of decapitation (Am J Forensic Med Pathol. 2011 Sep;32(3):245-7). Congenital malformation may present as spontaneous intrauterine decapitation as has been described in a case report of an acephalic fetus in the Archives of Disease in Childhood. According to the author, decapitation must occur during the 3rd month of gestation or later and is thought to be due to strangulation by a band of tissue of amniotic or chorionic origin (Arch Dis Child. 1967;42(226):636-41). Ledall et al have also reported subtotal decapitation of a fetus in the course of normal delivery with very peculiar bone dystrophy due to disturbance of intrauterine metabolism of tissue polysaccharides. (Bull Fed Soc Gynecol Obstet Lang Fr. 1964 Nov-Dec;16:549-51). Lymphangioma of the axilla as an obstacle to delivery has also been reported (Geburtshilfe Frauenheilkd. 1956 Aug;16(8):706-8). Decapitation can also be therapeutic. Marsden et al reported four cases of impacted transverse lie in late labor as illustrative of clinical situations where decapitation of a dead fetus in a transverse lie is a practical alternative to Caesarean section (Aust N Z J Obstet Gynaecol. 1982 Feb;22(1):46-9). We have discussed here the causes of fetal decapitation and not gone into the merits of the case. It may not be right to straightaway allege criminal medical negligence in this case without ascertaining the facts. The case needs to be examined in detail. A thorough scrutiny of the facts and circumstances is required before ascribing blame. The training and skill or competency of the doctor/nurses or the hospital has to be taken into account. However, this case re-emphasizes the significance of transparency, documentation/video recording in day to day practice. If the nursing staff has withheld information from the family, then this is a blunder. Fetal decapitation has been described in literature; this means that it is a known complication of delivery. And, complications are always lessons learned.